In Aramini Circus (a reimplementation of Yardmaster) 2-4 players compete to build trains comprised of railcars of different goods and values. You're an illegal candy smuggler. Hone your memory and recognition skills in this mini game! Memorize masks as they are placed in different piles and win points by pausing the game when a match is made within a pile. Use your cards to create the best battle formations and defend your village. Claim enough stones to win the game! You and your fellow cats are in an eating contest! Over several rounds, pass dishes to your neighbors or dig into the buffet. Eat as much as possible, and avoid indigestion, all while pushing your opponents to overeat! Way Up High (also known as backyard Builders Treehouse in the States) is a reimplementation of Yardmaster Express with players now trying to climb vertically to build a treehouse instead of adding cars to their train engine. Dare you face the dungeon with less equipment than the others, can you survive with just the bare essentials? 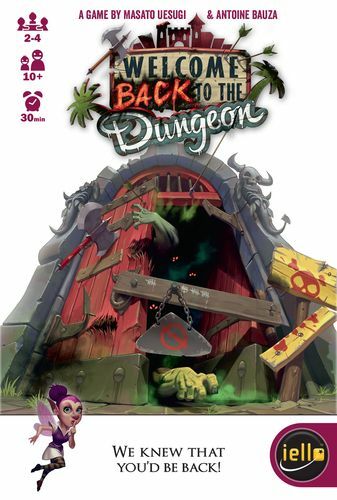 Find out in this push your luck dungeon card crawler.